Sometimes you discover information that’s so important, you want to scream it from the rooftops to make sure everyone else finds out about it, too. 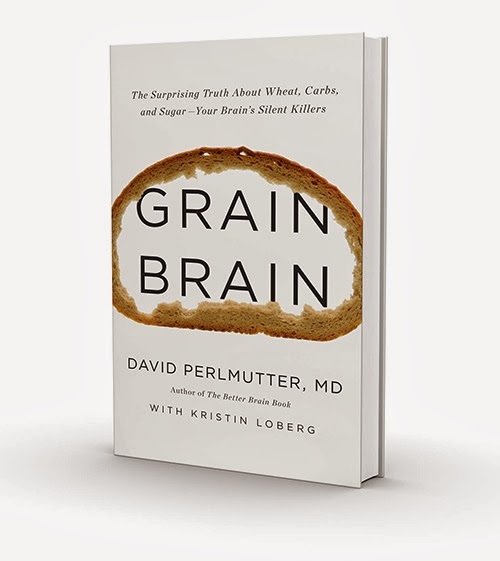 That’s what I felt like doing after reading David Perlmutter’s eye-opening book, Grain Brain: The Surprising Truth about Wheat, Carbs, and Sugar – Your Brain’s Silent Killers. Because what’s contained in these pages is not common knowledge. 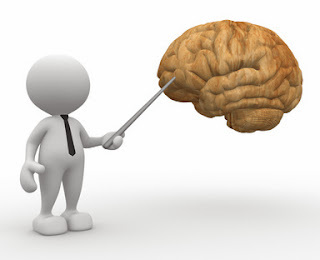 Very few people know which nutrients best feed our brains and ensure long-term mental health. Dr Perlmutter is the only physician in the U.S. who is both a board-certified neurologist and a fellow of the American College of Nutrition. He’s also a founding member and fellow of the American Board of Integrative and Holistic Medicine. This gives him a unique perspective when examining the impact of the foods we eat on brain health and function. In his practice over the past three decades, he has treated people of all ages, from pre-schoolers with signs of ADHD to elderly patients in their 90s with symptoms of Alzheimer’s disease. In an astounding number of cases, simple dietary changes have drastically reduced the problem. 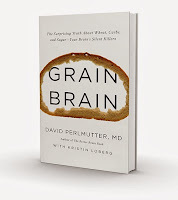 While I’ve read and posted about other excellent books that give solid scientific evidence for a high-fat/low-carb approach to eating, this is the first that explains in plain English the impact of our eating habits on brain health. This book is a wake-up call if you’ve been under the impression that only your genes affect whether or not you’ll eventually suffer from Alzheimer’s or some other form of dementia. Or you think that popping a pill (such as a statin drug) relieves you of taking responsibility for the effects of what you eat. The truth is, if you’re not careful, what you put in your mouth on a daily basis has potential to accelerate the shrinking of your brain. This written interview on the Psychology Today blog gives more details about the breakthrough ideas contained in the book. And this page on his website lists upcoming and archives of media appearances (radio/TV shows) with excellent content in each one. Whatever conclusions you come to about the way you choose to eat, this book will impact your understanding of your amazing brain and what it requires to perform at maximum levels for the rest of your life. Getting people to care about the development of their brain, and later, the health of their brain is hard, because the dynamic we're talking about is invisible, slow and silent.